Patewood Farm is now offering a limited number of quality horses for sale to approved homes. Patewood can help you find the Iberian of your dreams! FABULOUS WELSH CROSS PONY FOR SALE. Emmet (AKA PonyBoy) is a drop dead adorable 13’3” hand, 8 year old pony to die for. He has it all: great gaits, good mind, gorgeous mane and tail, color and personality to spare. 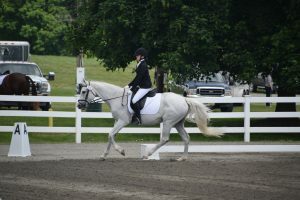 He has shown successfully in lower level dressage and has yet to meet a jump he didn’t like. He is good for the farrier (barefoot and sound) and the vet. 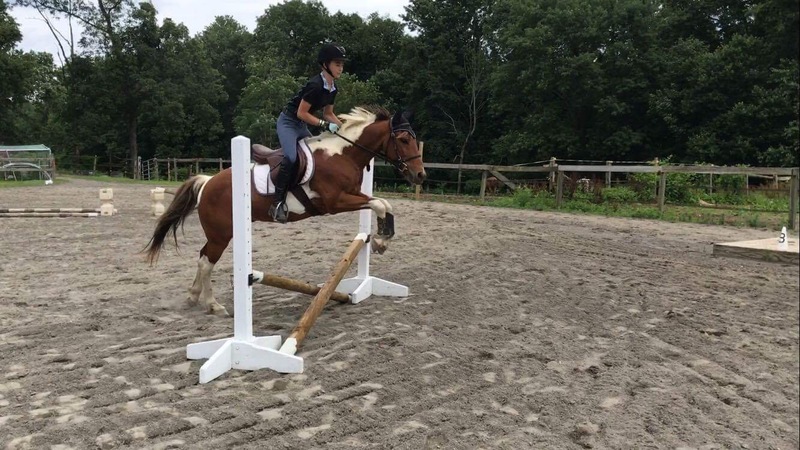 He has taught some beginner lessons, but I would like to find him a home with a confident young or small rider who can really develop his potential. I hate to let him go as he is the pony I always wanted as a child. Unfortunately, my 5’10” frame is not a good match for him and I don’t want him to just stand around being bored. He needs a person of his own. Asking 5K. Email (suz@patewoodfarm.com), call or txt 973-670-5386. Horses available for on-site half-lease. 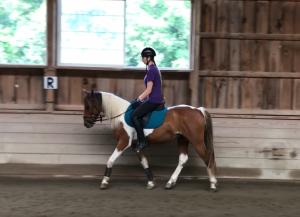 A half lease includes one lesson a week and two additional rides per week. All horse care costs are covered by Patewood. Cost is $400 a month, a savings of over $180 a month. Contact Suzanne by email (suz@patewoodfarm.com), txt or call 973-670-5386 for more information. 16 year old grey Thoroughbred mare. Pepper is suitable for any level rider. This 15’2” mare is an angel to work with. She kindly teaches the basics and yet has fun teaching the lateral moves to more advanced riders. She is easy, fun and uncomplicated. She has shown successfully at lower level dressage and is dynamite on the working equitation course. 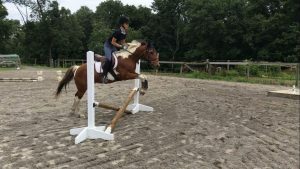 15 year old bay Quarter Horse gelding. Toby is the clown of the barn. Hi is 15’2” and has tons of personality. Suitable for any level rider, Toby teaches the basics with style and sass and yet provides a fun ride for a rider with more experience. 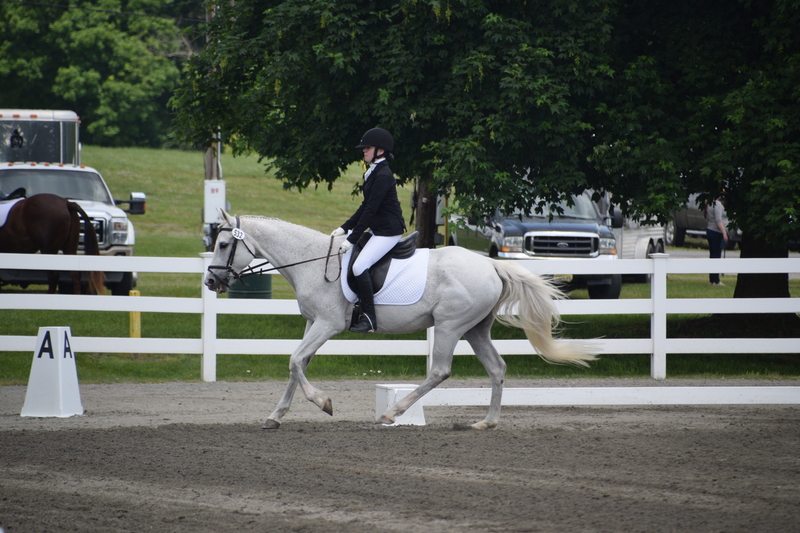 He has shown successfully at lower level dressage and has working equitation experience. 8 year old pinto Welsh Cross gelding. Emmett is a 13’3” dream pony. 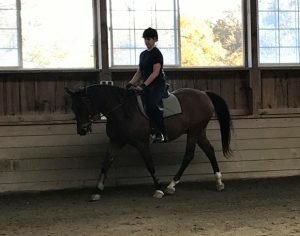 Gorgeous, spunky and talented, he is suitable for a rider with some experience although he teaches beginner lessons nicely. He is a more go than whoa pony but listens to his rider. 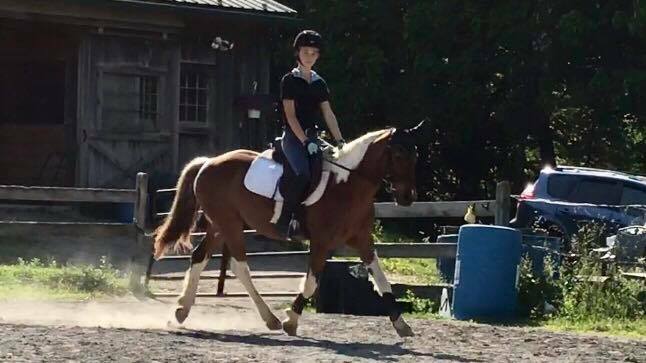 He has shown successfully at lower level dressage and loves to jump. 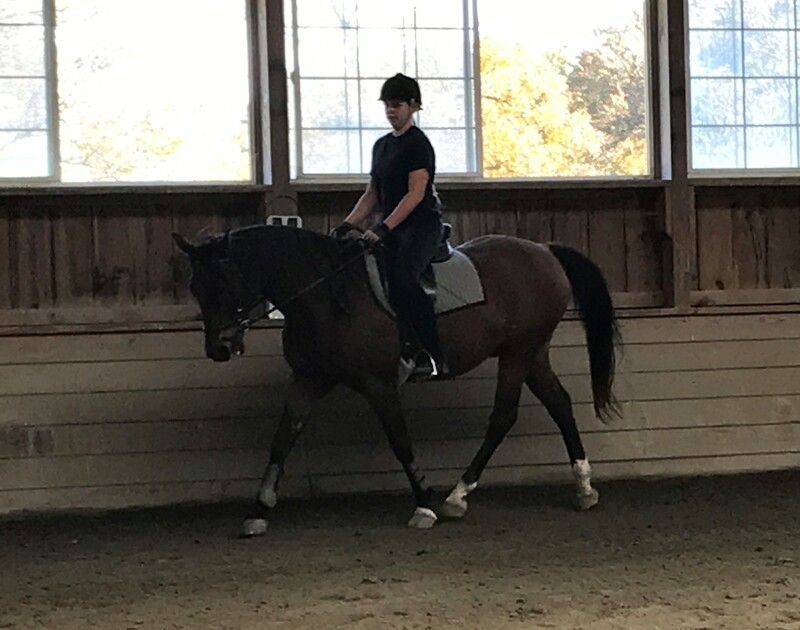 He has just recently been introduced to working equitation and needs mileage on him in that discipline although he certainly has the talent to succeed at it.